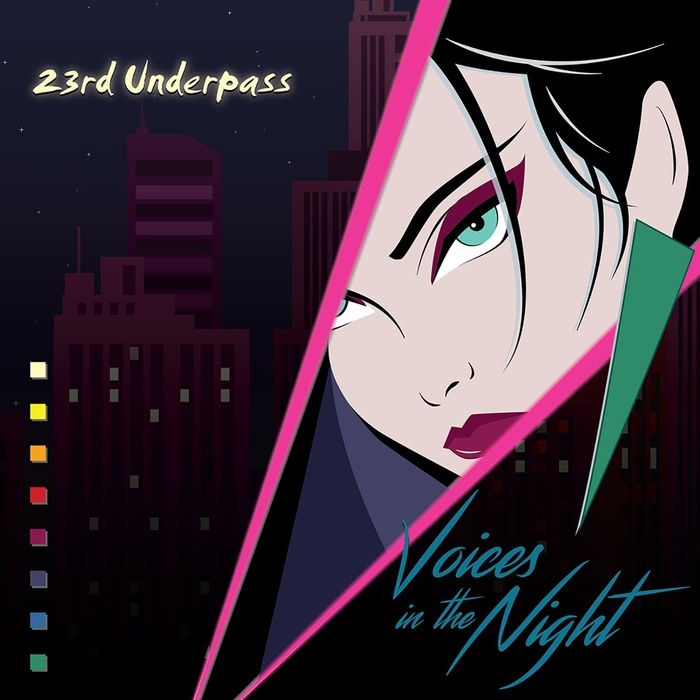 "Voices In The Night" is 23rd Underpass' third full-time length album, and Costas Andriopoulos has not lost a bit of his talent to write classy and catchy yet dark synth pop-infused Italo disco tracks. Again aided by Nadia Vassipoulou, John Britsas and Panos Papapetros on vocals, the album is comprised of eight brand new tracks including smash hits "I Hear Voices In The Night" and "Together Forever", for you to dance on your favourite disco's dancefloor, alone at home or just to dream away on Costas' haunting melodies. The 2CD version adds extended versions of "A Chase", "Come Into My World", "Together Forever", a remix by no other than Italo disco icon Flemming Dalum, plus the whole 2015 album "Faces" while still adding previously unreleased tracks "Re-flexx" and "The End", an instrumental edit of "I Make You Believe" plus a remix of "Faces" by Nine Seconds. Sounds like a real treat, no?! Not to be missed!